Project SEAPHE is a community of scholars committed to the empirical study of admissions preferences in higher education. We seek to ground the public’s understanding of affirmative action in rigorous, data-driven studies. Members of the project cover a range of disciplines, from economics and statistics to sociology and law. We seek to gather probative data on the operation and effects of admissions policies, both to conduct our own studies and to create easily-used databases available to the public. Project SEAPHE’s most pressing question concerns the ways preferences affect their intended beneficiaries. Do large disparities between the credentials of students admitted with preferences and the rest of their classmates affect the academic performance, graduation, and careers of those students? If so, do these outweigh the positive effects of being at a higher-tiered school? We study all types of preferences: racial, socioeconomic, legacy, and athletic, among others. Since the primary goal is to conduct sound research, the Project’s membership is inclusive and encourages the involvement of researchers with heterogeneous views. While we all agree that policy should follow careful research, those of us involved in the project are as varied in our politics as in our fields and methods. We do, however, broadly support the policy of transparency. We believe institutions of higher education should be honest about their preference policies and should inform prospective students about the possible effects of an admission preference. We are excited about the influence that our research can have on future education policy. 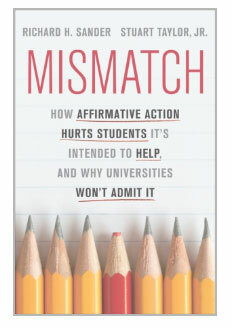 Many of us have been supporters of traditional affirmative action programs, and are interested in reforms that can enhance diversity (broadly defined) while minimizing harm to intended beneficiaries. Project SEAPHE is funded by a generous grant from the Searle Freedom Trust, based in Washington DC. The project originated when Searle officials invited Sander in March 2007 to design a program that would extend and develop his work on the effects of law school preferences. Sander proposed the creation of a broad research collaboration among social scientists interested in objective and quantitative analysis of the effects of preferences in higher education, fueled by the securing of relevant databases held by agencies and educational institutions. Searle funded the proposal at its full amount and without amendment. The Searle Freedom Trust funds a good deal of research on issues related to black-white inequality. For example, the Chicago Black-White Inequality Workshop is an effort to study why relative progress for blacks in terms of education, health, and income has stalled during the past two decades. The lead scholars include economists Derek Neal, Steve Levitt, James Heckman, and Roland Fryer. Project SEAPHE also greatly benefits from ongoing non-financial assistance and support from the UCLA School of Law. The Randolph Foundation has provided support for the Project’s efforts to obtain and analyze data from the University of California. Sander’s earlier research on the operation and effects of preferences in law school was aided by grants from the National Science Foundation, the Law School Admissions Council, the National Association of Law Placement, the American Bar Foundation, the National Conference of Bar Examiners, and the UCLA Law School Dean’s Fund. The findings and opinions expressed by Project SEAPHE do not reflect those of any funding organization. Likewise, conclusions reported by Project SEAPHE collaborators represent the views of those authors, and do not necessarily reflect positions taken by Project SEAPHE as a whole.